adamsapplelist : Fresh on the Scene. Meet "Romano" an 18 year old lad from France. Fresh on the Scene. 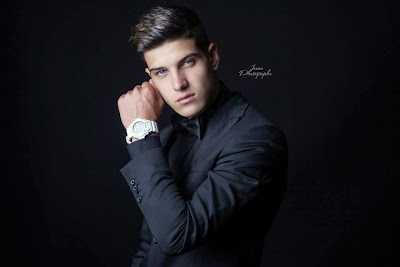 Meet "Romano" an 18 year old lad from France. and now look at Romano. 18 years old, already got noticed, excelling in his modeling career, well established, killer looks, wash board abs, piercing blue eyes and clear jaw lines. What more could a teenage boy ask for? 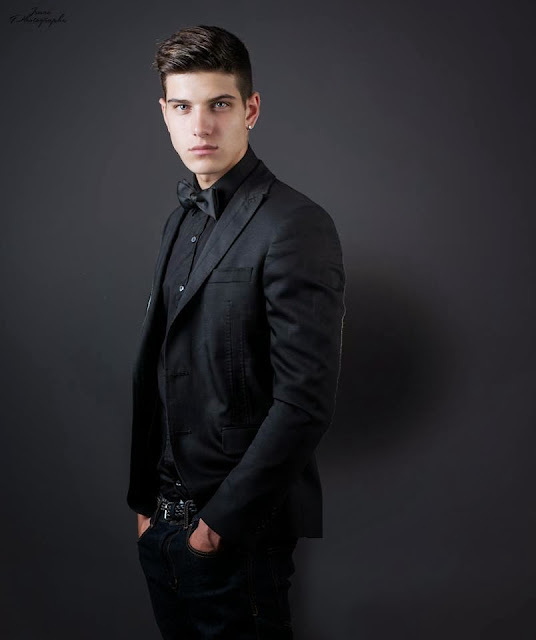 Sighhhhhh..... anyway... so this week I was in conversation with Romano Rossi a teenage model who is from Nantes, France but lives in Dijon. Mind you Romano is not much of a talker. He just prefers his looks and pictures do all the talking and I guess they do it well for him ha! So ladies and Gentle Ladies here is Romano. Well... you already know my name and where I come from and what I do....lol so other than that I am 18, a student of sales. I like body building and I love sports. I am an athletic person. Outdoors fascinate me. It was not decided actually. I did my first modeling shoot this year in July. It was just by chance that I got noticed. The result of the shoot was so good that I started getting many offers and I kept doing them all. I wanted to become a model because I always wanted to get into the glam world. Also because I really liked the results of the shoots that I did. So I decided why not! Hahaha.. It's not even been six months. I am very fresh in this world so I am looking forward to work with some major brands. I am slowly getting there, You will definitely know about it once it's done. For time being I am just doing prints. Well... as you know I love sports. So I play. I go to the gym everyday in the weekdays and on the weekends I go out running. Its healthy and keeps you in good shape. Fashion has always been the way I have expressed myself. It's how I deal with my mind and the thoughts. It's lifestyle. Some people want it and some don't. Right now I do not think much. I am just taking one step at a time. Do not want to make any mistakes you see. Aww.. thanks a lot. It was a pleasure indeed. I am sure that by now you guys must have started googling him. So let me make it easy for you. Here is his facebook fanpage link. Follow him here and thank me later. Did you know that you can shorten your urls with Shortest and receive money from every click on your shortened links.